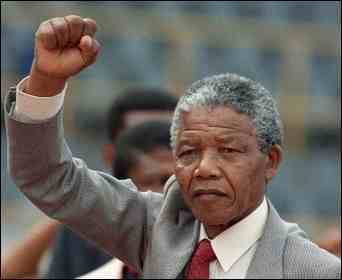 Nelson Mandela was a very inspirational and courageous figure. 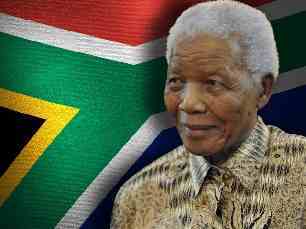 He suffered so much in jail on Robben Island, enduring decades of hard labour, but refused to be broken by the evil apartheid regime. 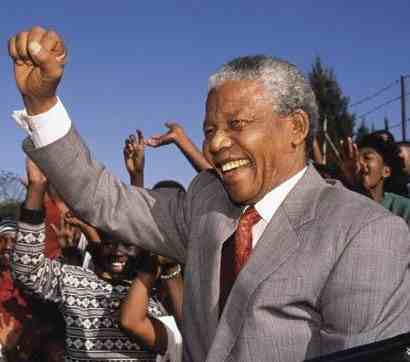 He did so much to force the regime to introduce democracy in South Africa. The regime didn’t concede defeat out of their goodness of their hearts – it was largely due to black, white and “coloured” workers uniting in trade unions (with the possibility of general strikes leading to socialist revolution) and of course international sanctions that played big roles. Their prime motive was to preserve capitalism and their own wealth, and so far that has been successful. 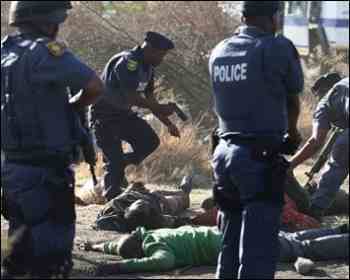 Unfortunately, for many of the poor masses in South Africa, little has changed since apartheid (there are still shanty towns) and disillusionment in the African National Congress (ANC) is rampant – particularly after their support for the massacre of 44 striking Marikana miners last year. The ANC is mired in corruption and big business still runs the country, albeit with some black bosses rather than them all being white as in the apartheid era. We had a minute’s silence for Nelson Mandela and for others fighting (or had fought) injustice around the world at an anti-fracking protest (in Barton Moss, Irlam, Salford, Greater Manchester) yesterday. Whereas some of our political views may differ, we quite often (at least) recognise when someone with quite different views is an ally in our fight against mutual enemies.